This recipe is inspired by a spice cake with blackberry filling published in bon apetit in 2001. But I wanted to make it small form factor (aka cupcake) and paleo friendly. The cupcake is simply a vanilla spice cupcake recipe. The icing preference is yours really – think of it as choose your own adventure for baking – vanilla icing or goat cheese icing. The spices and blackberry filling really compliment each other nicely. To me, spice cake is always on the sweet side (but completely delicious). 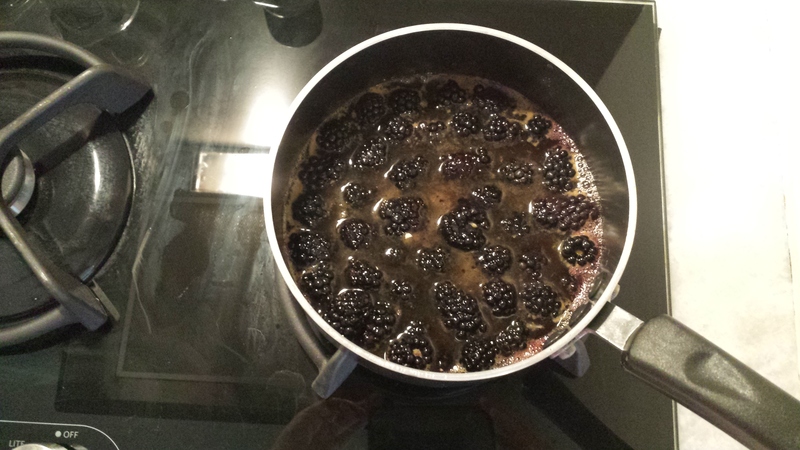 Here, the blackberry filling tames that sweetness with the tartness (but not overly) of the blackberries. Visually, the contrast of the dark filling and the light cake and icing are just aesthetically pleasing. 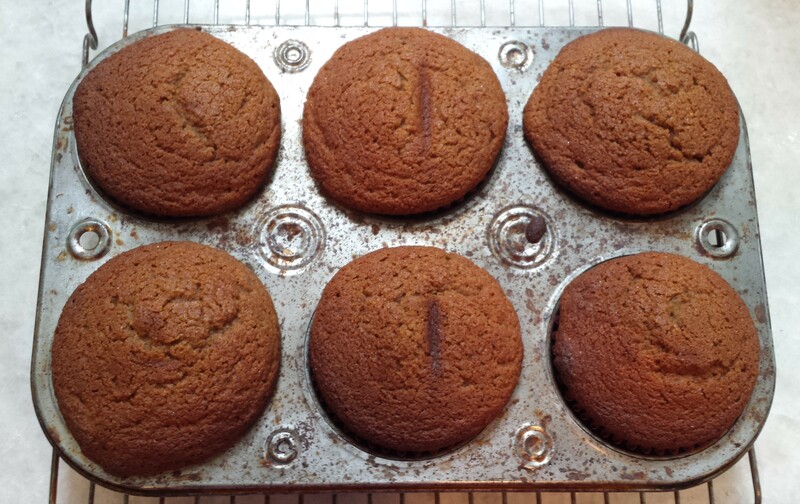 First, preheat the oven to 325 degrees F.
Make a baker’s dozen vanilla spice cupcakes using the cupcake recipe above. First, combine dry ingredients in a large mixing bowl. Then, add the liquid ingredients – honey, milk, eggs, oil, vanilla. Mix well. Add batter to a lined cupcake pan and bake for approximately 20-25 minutes, or until a toothpick inserted into the center of a cupcake comes out clean. Cool the cupcakes on a rack until completely cooled. 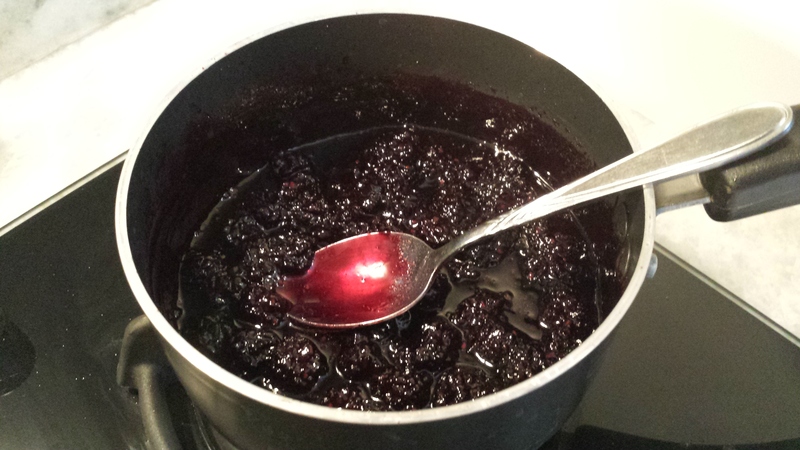 While the cupcakes are baking, make the blackberry jam filling. Bring filling ingredients to a low boil in a small saucepan (see below) and cook until the mixture thickens significantly. Cook down filling for 25 minutes. 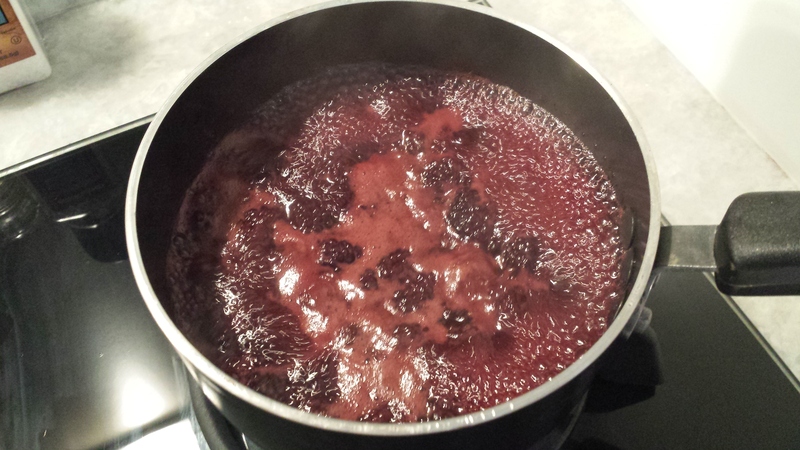 Keep an eye on it though – if you let it cool too much you’ll have to reconstitute the filling and recool. 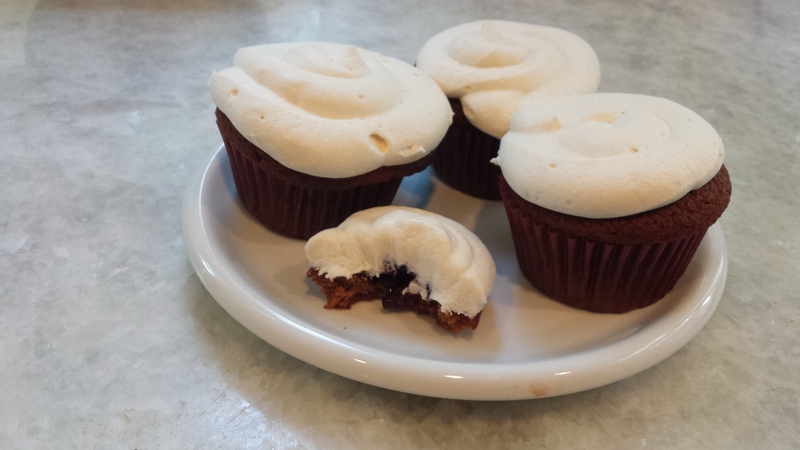 Using a small spoon, or cupcake corer if you have one, remove the core of the cupcake. 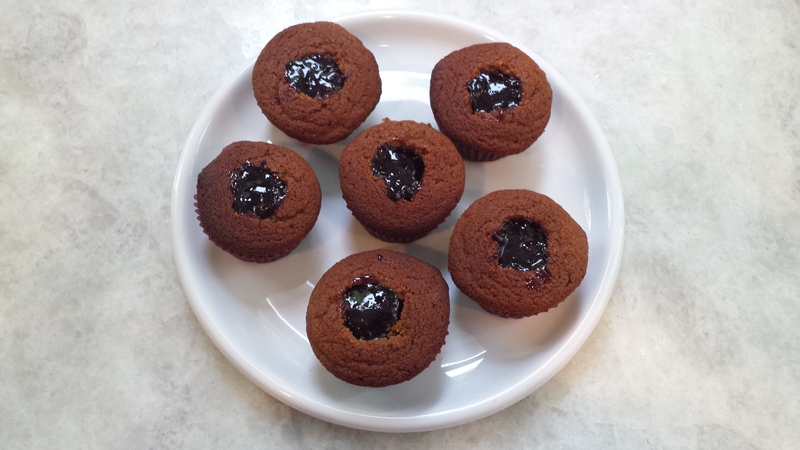 Fill the cupcake core with the blackberry jam – don’t over fill it or you may have trouble icing the cupcakes nicely. Next, ice the cupcakes using either the vanilla icing recipe or goat cheese icing I posted earlier with the Red Velvet Cake recipe. For whatever reason, the goat cheese icing doesn’t hold shape as well as the vanilla icing. But a few minutes in the fridge will solve any of those issues. Finally, and you deserve it with this hard work, enjoy! This entry was posted in baked good, has dairy and tagged blackberry, goat cheese, spice cake. Bookmark the permalink.